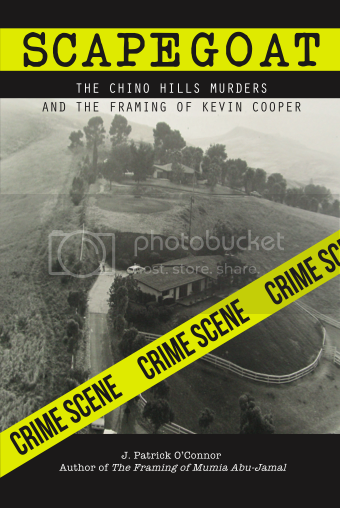 Kevin Cooper’s controversial 1985 conviction and death sentence is the subject of a new book by veteran journalist J. Patrick O’Connor entitled, Scapegoat: The Chino Hills Murders and The Framing of Kevin Cooper. O’Connor is the editor of www.crimemagazine.com and the author of The Framing of Mumia Abu-Jamal (Lawrence Hill, 2008). He has previously worked as a reporter for UPI, editor of Cincinnati Magazine, associate editor of TV Guide, and editor and publisher of the Kansas City New Times. Victim was shot twice in back of head and upper back by APD officers on August 29th, 2009. Victim was removed from John Muir Medical Center in Walnut Creek on Sept 1 and returned to family by Lt. Orman. John Muir thought victim was being released to county hospital for continuing care. Lt. Orman instructed family that the police report would be ready in couple of weeks, after 6 months and still no police report. Poll: What is the Chance that Eureka City Government Has Some Corruption?